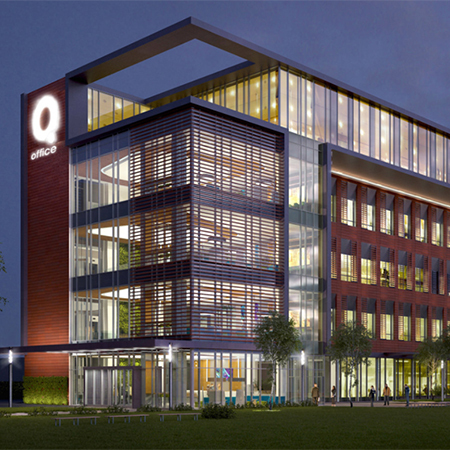 AET Flexible Space, leading provider of underfloor air conditioning systems are presently commissioning the system and equipment supplied to German IT and software solutions company, iQuest for their new build headquarters in Cluj Napoca, Romania. 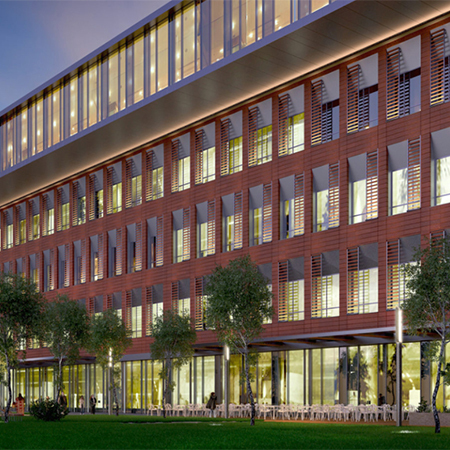 AET UK have worked closely with Romanian distributor, Convergo Energy on the first underfloor air conditioning installation in the country, and the high profile project will create first class, grade-A office space for the owner-occupier. Underfloor air conditioning systems use the plenum beneath a raised floor as the ventilation duct, eliminating the need for ceiling duct work, potentially reducing new build construction height by up to 10% and making it easy and economical to adapt to workplace changes. 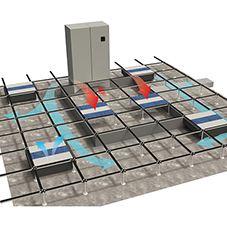 The system supplied to the iQuest project is a CAM-V system, where zonal downflow units feed conditioned air into the plenum beneath the raised floor, and then receive return air at high or ceiling level for re-conditioning. The CAM-V system is ideal for easy reconfiguration as there is no division of the plenum into supply and return channels. 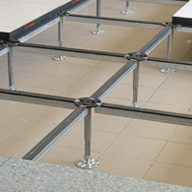 The conditioned air is introduced into the workspace from the plenum using modular fan terminal units, known as Fantiles, which are easily relocated with 600 x 600mm raised floor tiles and feature integrated controllers permitting users to personally adjust temperature and fan speed settings. 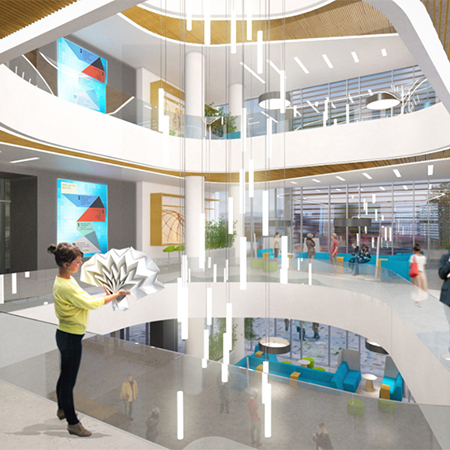 The project covers an area of 18 200m2 on a former factory site in the centre of Cluj Napoca, approximately 6000m2 of which will be office space situated over five floors, and the building will be surrounded by generous green space and public areas. 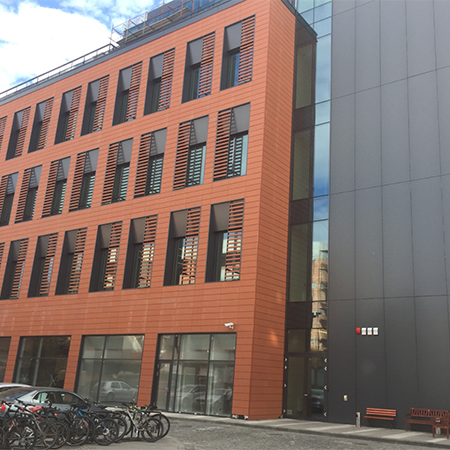 A total of 34 CAM-V33/V22 zone units and 484 Fantiles were supplied; the Fantiles comprising 386 TU4 and 98 slimline TUS units for the fourth floor with a shallower floor void. All Fantiles were specified with EC fans for enhanced energy efficiency and the whole system is connected together and communicates with the main BMS via the bespoke AET flexgateway module.